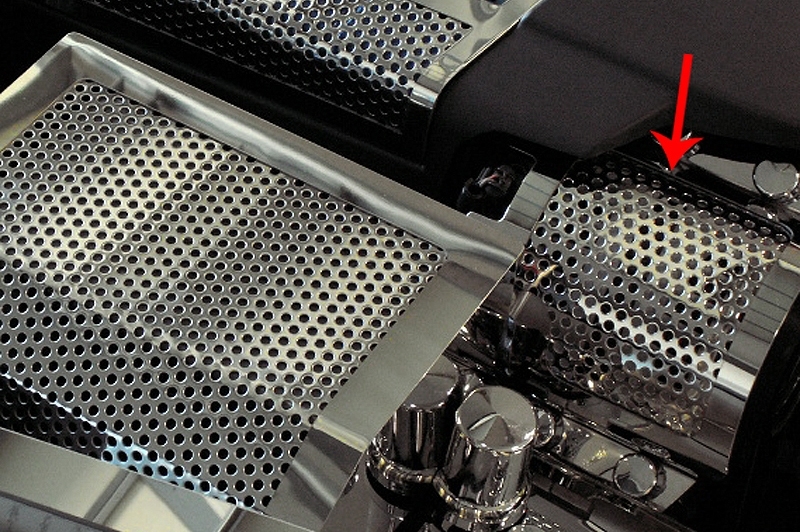 Dress up your Corvette with our Polished Stainless Steel, Perforated Alternator Cover. These trim pieces are designed to fit the 2009-2012 ZR1 Corvette only. It covers the alternator and adds a clean stylish look to your Corvette engine bay. NOTE: This part does not fit the 2005-2012 standard C6, Z06, and Grand Sport Corvettes.